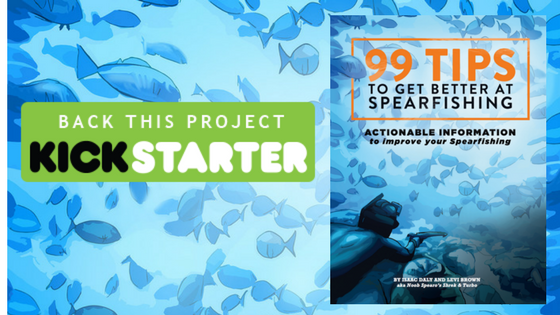 A spearfishing book providing information for safe and effective is live on Kickstarter. 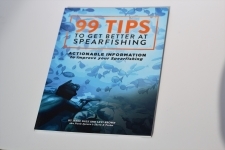 "99 Tips To Get Better At Spearfishing" is a book sourced from interviews with more than 50 of the world's best spearfishing people. The project is now 40% funded in its first few days. 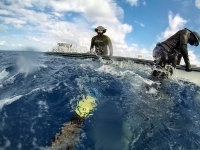 Brisbane, Australia, March 13, 2018 --(PR.com)-- Sharks, deep water, powerful spearguns, all while holding your breath. 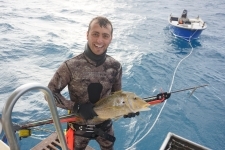 Sounds fun right...this is the sport of spearfishing. It’s a pursuit with a steep learning curve requiring a combination of opportunity, a certain personality type and the right information to make it remotely possible. 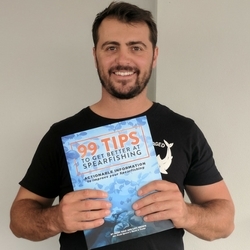 Brisbane based writer/podcasters Shrek and Turbo wrote "99 Tips to Get Better at Spearfishing" based on more than 50 interviews with spearfishing experts and authorities from around the world. 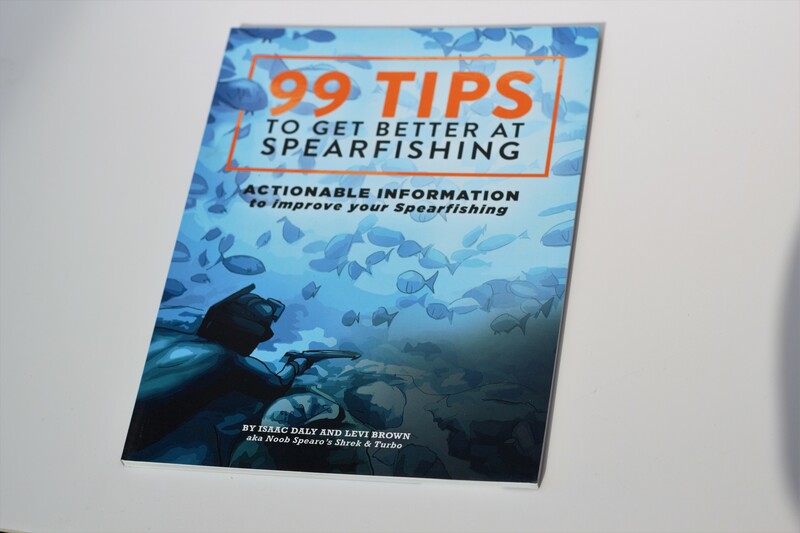 The pair say the book is full of actionable information to help people get better at spearfishing. This book is available now on the crowdfunding site, Kickstarter. 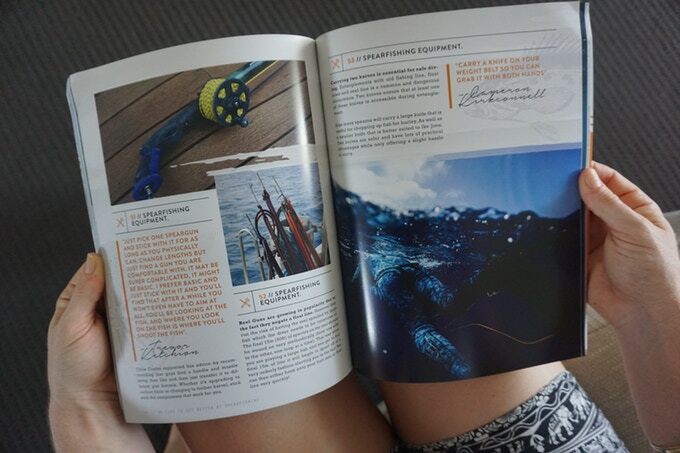 According to Turbo, spearos (people who spearfish) need to learn breath-hold techniques, fish hunting techniques, equipment, shark behaviour, safe diving practices and even etiquette. “Our guide is broken down into chapters that address specific areas of difficulty, for example shore dive spearfishing and spearfishing hunting techniques. While it's not a comprehensive guide, it’s got a lot in there for anyone in their first several years of spearfishing,” says Turbo. Their Kickstarter campaign begins March 10th and aims to raise $5000 or more in 30 days. “Pledge levels have unique rewards that will not be available anywhere else," says Shrek. “This is a great way to reward our community for their continued support.” The pair hope to finance an initial print run so they can share their message with the broader spearfishing community.